They say. What say they? Let them say. Above is the personal maxim of Edward Francis Searles, the eccentric millionaire responsible for the Stanton Harcourt castle in Windham, NH as well as his impressive Great Barrington, MA residence. 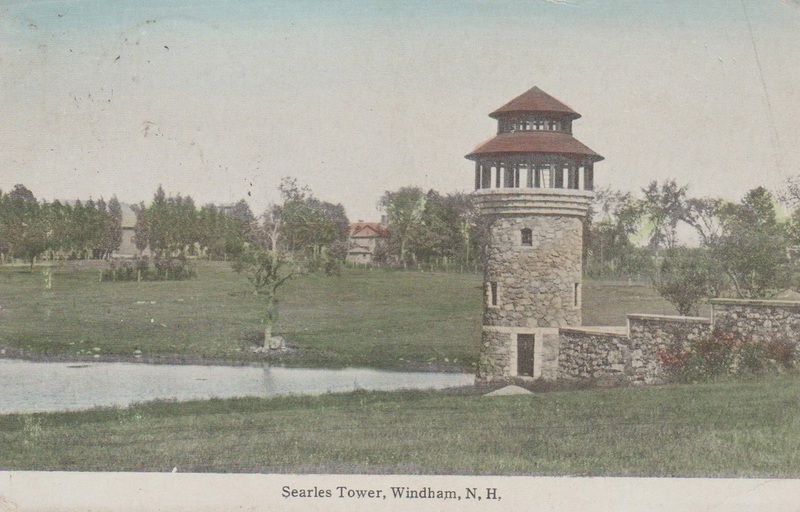 Edward Francis Searles was born on a small farm in Methuen, MA in 1841. When he was three years old his father, Jesse Gould Searles, and his sister and younger brother all died within a period of six weeks during the summer of 1844. His mother, Sarah Littlefield Searles, was left with no choice but to mortgage the family home and several acres of land in order to support herself, Edward, and his older brother. At the age of 12, Edward left school to work in a cotton mill. Although his formal education had ended, he took piano lessons with a woman in Lawrence, MA. Within the next few years he changed jobs twice, working in a shoe factory and a department store in Lawrence. Several years later he was able to earn a living as a piano teacher after studying the instrument in Boston. Around this time, Catherine Linehan boarded at the Searles' home to help Sarah Searles with the housekeeping. Edward and his brother Andy, who was two years his elder, were both very fond of the Irish girl. Soon after the Civil War broke out and Andy enlisted in the Army and Edward went to Maine to teach music in order to support his mother. While Andy was away fighting for the Union, Edward became engaged to Catherine, but that engagement was broken when Andy arrived home in a uniform and won her heart. Edward decided to deal with the loss by moving away, and he did so when he received a job with Paul & Company, a furniture dealer in Boston, MA. For the next twelve years Edward sold furniture until the company went out of business in 1875. Searles took his savings and paid off the mortgage on the family farm and then remortgaged the property for almost twice as much. He then went off to Europe for about six months. 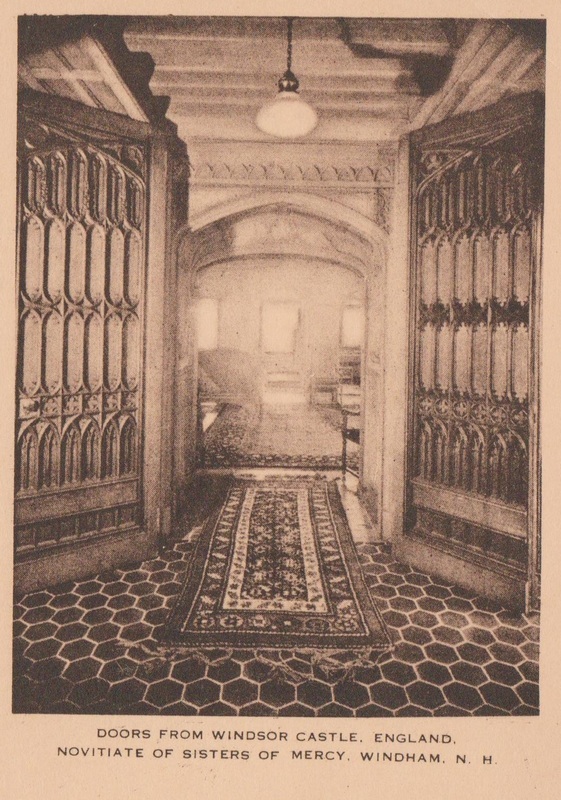 Upon his return he secured a job with Herter Brothers, a New York interior decorating firm. He remained under their employ until 1881 when he contracted inflammatory rheumatism and his doctor recommended that he spend some time away from work. 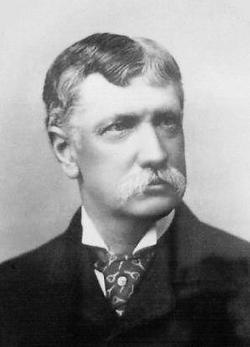 Searles decided to go to California where he would take some time to call on some of the very wealthy clients of Herter Brothers. One of those clients was Mrs. Mark Hopkins, the widow of a wealthy railroad magnate who left his wife, Mary, with a fortune of around twenty to forty million dollars at the time. Mary had no children of her own but adopted Timothy, the son of a housekeeper. Eventually, in 1887, Edward married Mary who was 22 years older than he. 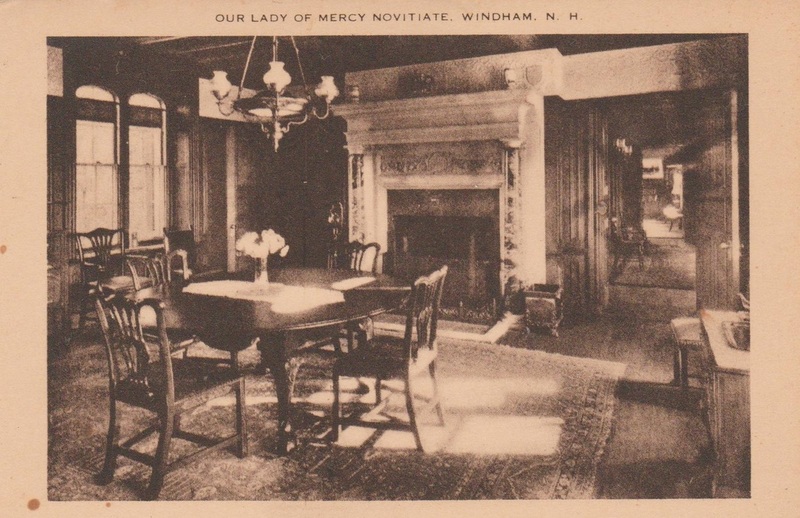 When the newlywed couple returned to America from a several month tour of Europe, Mary changed her will to leave all her wealth to her new husband. 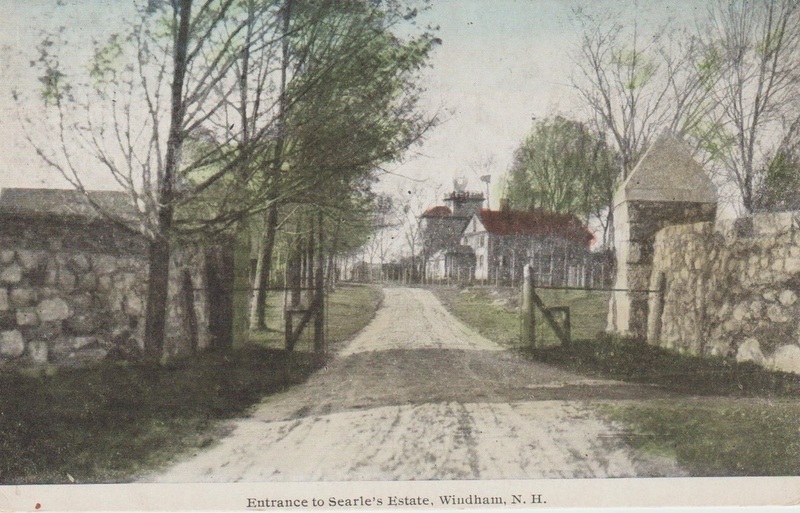 It was at that time that Edward Searles started building several large mansions that would eventually include Stanton Harcourt of Windham, NH. In 1891, after only a few years of marriage, Mary died and a legal battle ensued between Edward and Timothy Hopkins, who had been left nothing in her will. Although the courts upheld the will in Edward's favor, Timothy was awarded several million dollars. 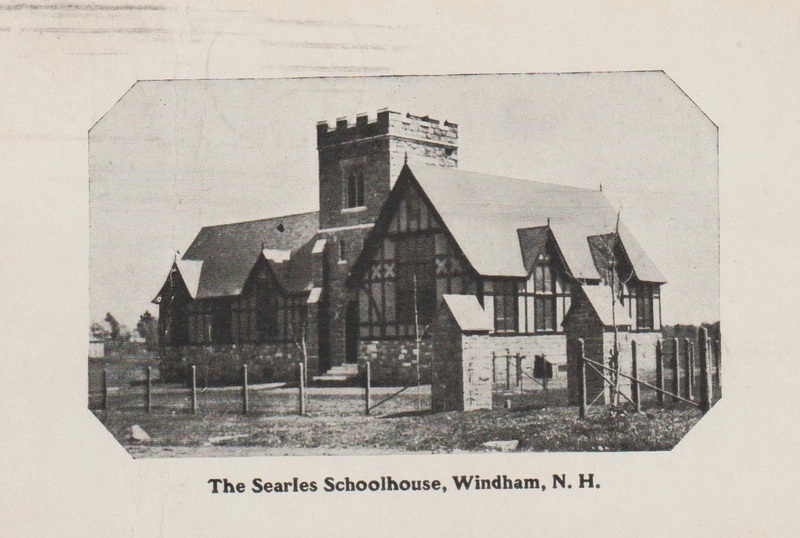 Searles died in 1920, having completed several mansions and many schools and churches. Edward Searles began construction on Stanton Harcourt in 1905 and the castle was completed a decade later in 1915. The castle was designed to be a 1/4th scale replica of Stanton Harcourt in Oxfordshire, England. The mansion cost Searles about $1,250,000 to build. 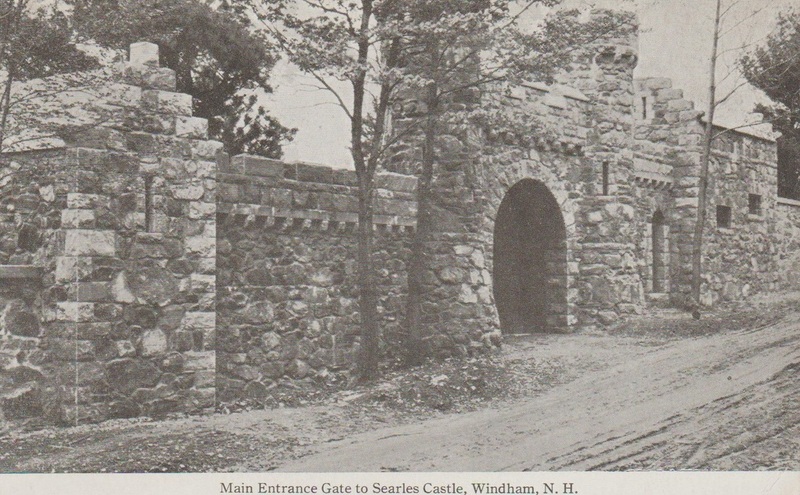 Searles spared no expense in its construction and went as far as purchasing doors from Windsor Castle and Napoleon Bonaparte's fireplace. 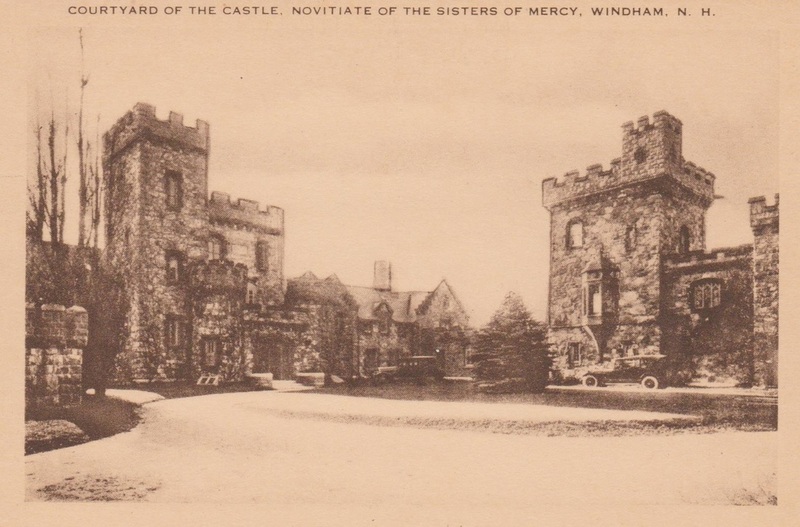 Upon his death the castle was willed to Arthur T Walker and after exchanging hands several times it came into the possession of the Sisters of Mercy who currently own the property.